Westport has some of the best examples of art deco architecture on the West Coast. The 1929 Murchison earthquake damaged a number of older buildings, which were rebuilt in the 1930s. 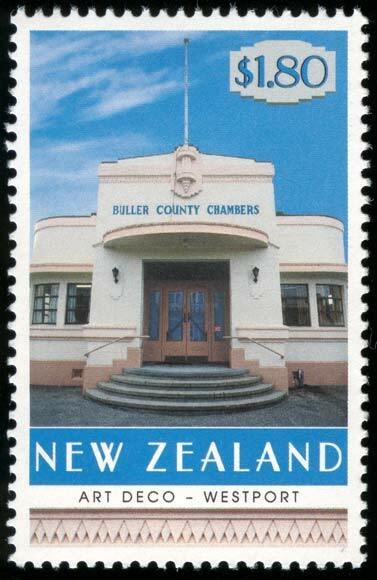 The former Buller County Chambers was on one of four stamps illustrating art deco architecture in New Zealand, released by New Zealand Post in 1999.